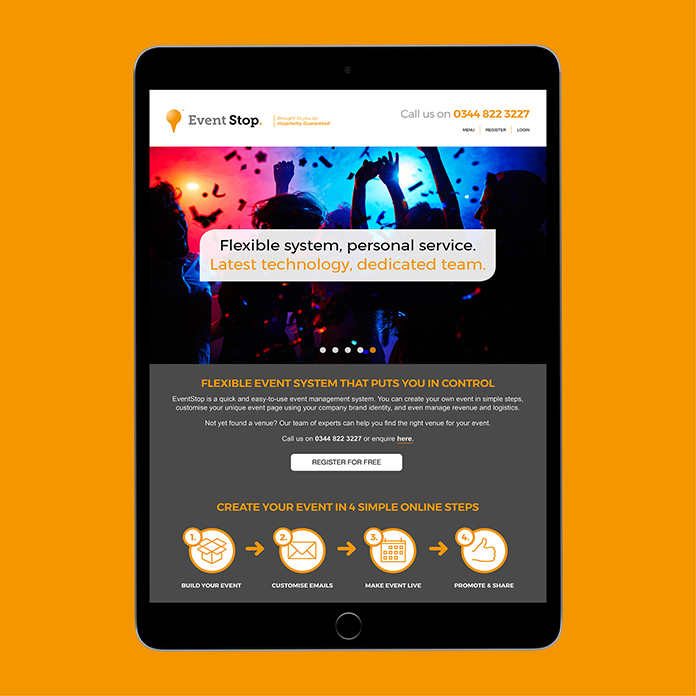 Share the post "EventStop Website"
I’ve been working with Wynyard-based Hospitality Guaranteed over the last few months by giving their EventStop website a new look. 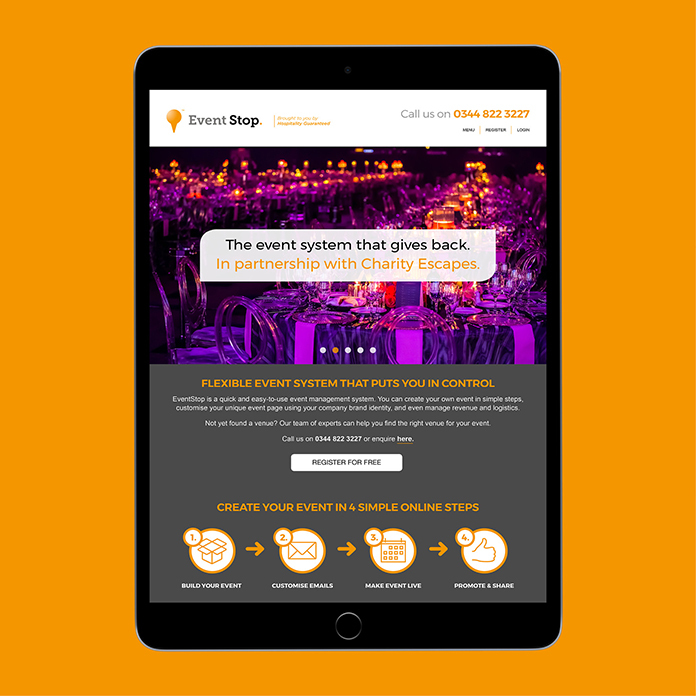 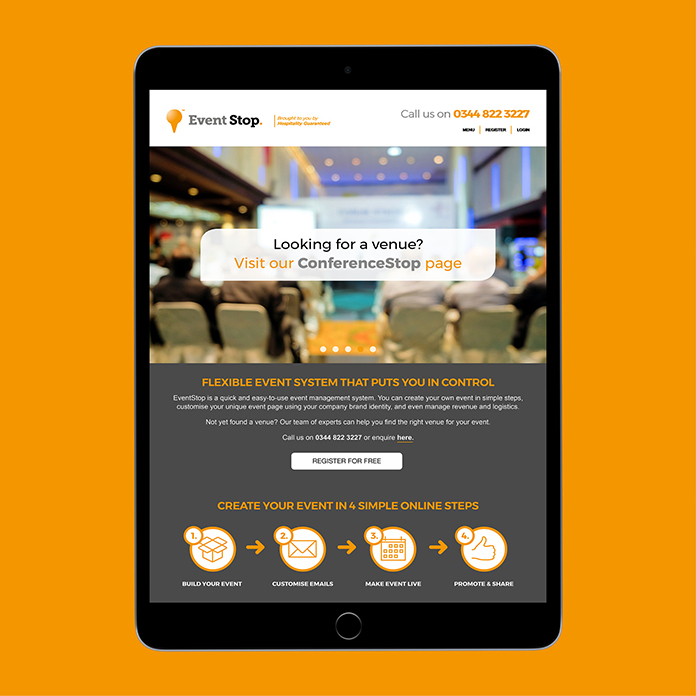 EventStop is an online event management and planning website. 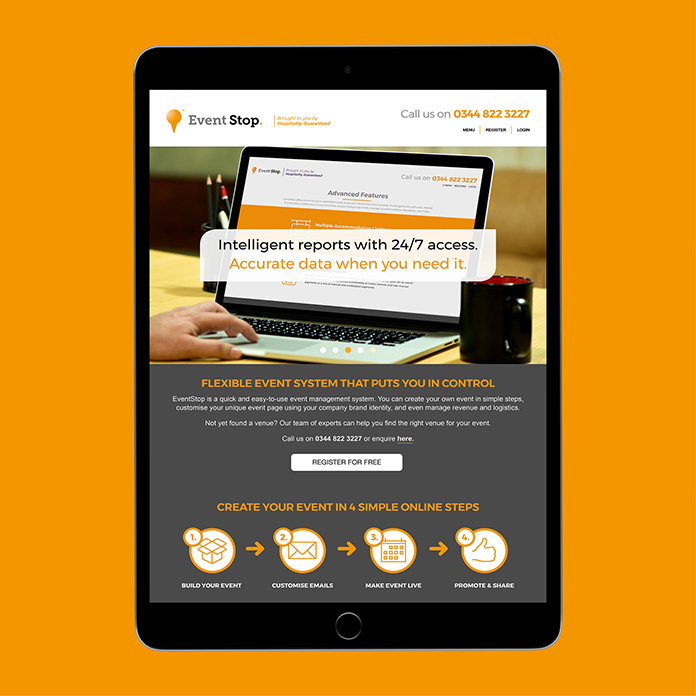 The new site was designed in conjunction with their team and built by their marketing provider. 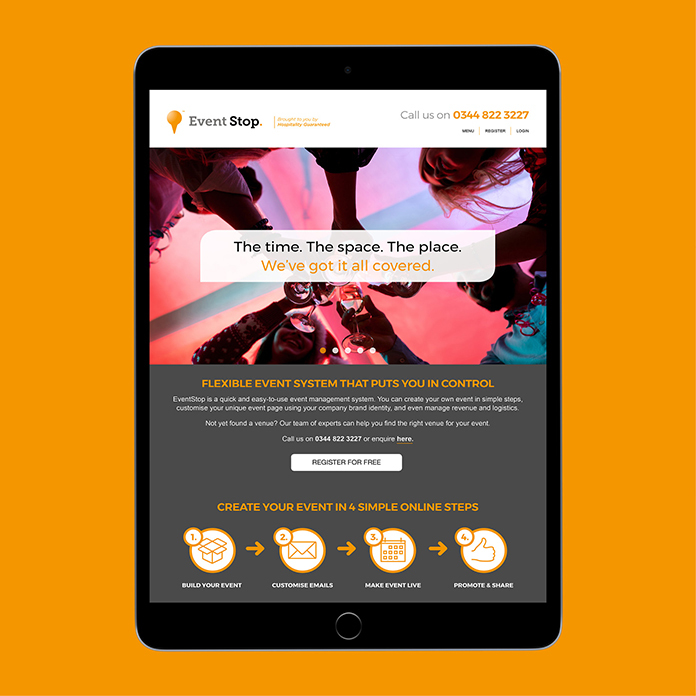 Click here to see the new website.